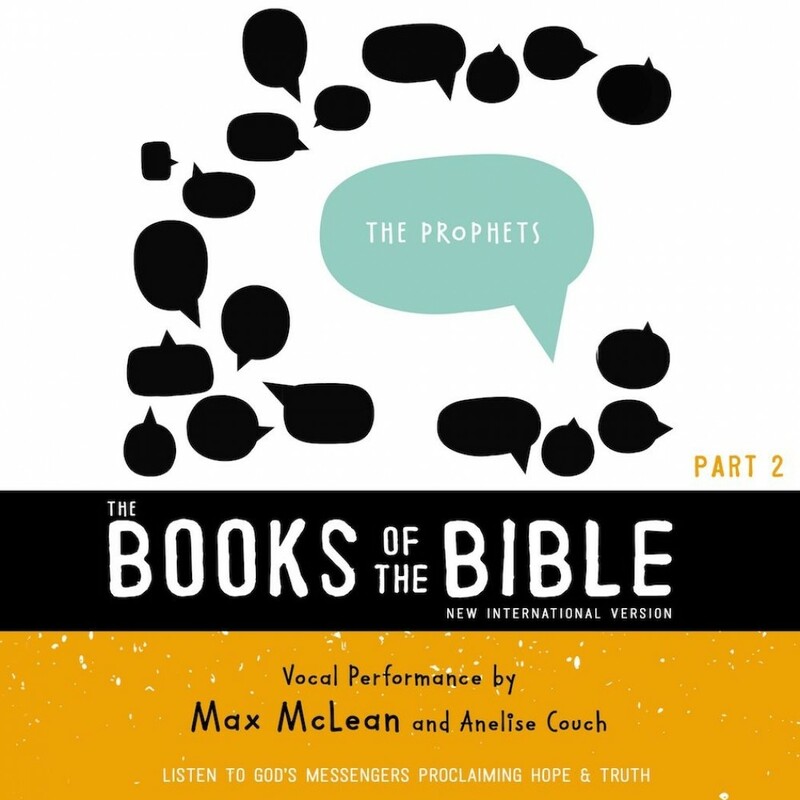 NIV, The Books of the Bible: The Prophets, Audio Download | Biblica | Audiobook Download - Christian audiobooks. Try us free. In this audio recording of The Prophets, listeners will hear God's messengers proclaim hope and truth in historical order. The books of the Bible are arranged in an order that helps you hear the unfolding drama more easily. Each book of the Bible is accompanied by an introduction that invites you to find the story behind the story, unlocking the context of the book of the Bible so that you experience a more in-depth listening experience. This audio Bible study uses the New International Version (NIV), which is an accurate and clear translation with the goal of delivering the same Bible experience today that the first recipients of Scripture would have had in their native languages. The Scripture readings are read by renowned vocal performer Max McLean. McLean's skillful, engaging, but never overdramatized style will enhance the listening experience and help you understand and enjoy God's word like never before.